NEED A DEATH CERTIFICATE? SKIP THE LINE AT YOUR LOCAL OFFICE! You don’t have wait to get the help you need with your application! We are open 24 hours a day, 365 days a year, and will be there to help you during the entire application process. THE BEST CHOICE TO GET A DEATH CERTIFICATE ONLINE QUICKLY! 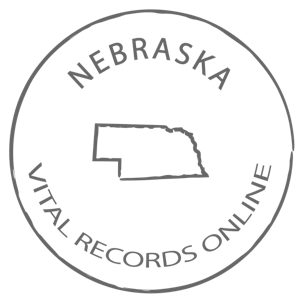 WHAT OFFICIAL DOCUMENTS DO I NEED TO ORDER MY OFFICIAL VITAL RECORDS DEATH FROM VITALRECORDSONLINE? The only document you need to submit an application for a death certificate is a copy of your photo ID. Once you are ready to get started, you will find that our application assistance services are comprehensive, secure, and easy to follow. First, the applicant will choose one of our premium services, which allow for either an electronic download or a physical delivery of completely filled and signed application materials, and crucial submission instructions to their address of choice. Then, after following the instructions provided by Vital Records, the applicant will place the completed application documents along with a check covering their state's application fee and a notarized letter* into a mailing envelope, and mail the items to their state Health Department office. Once these steps are complete, the individual only needs to wait for approval from the Health Department to receive their official death certificate. Yes, it's that simple! *If required by your state, full instructions regarding why your letter must be notarized and how to get your letter notarized will be provided along with application documents. HOW LONG WILL IT TAKE TO OBTAIN MY DEATH CERTIFICATE? Each state requires a unique processing time before delivering the death certificate. Once the Health Department receives your application, they will then process your application and mail the death certificate directly to your home address. IS VITALRECORDSONLINE SECURE TO OBTAIN MY DEATH RECORD? Finishing your application can be done in record time!